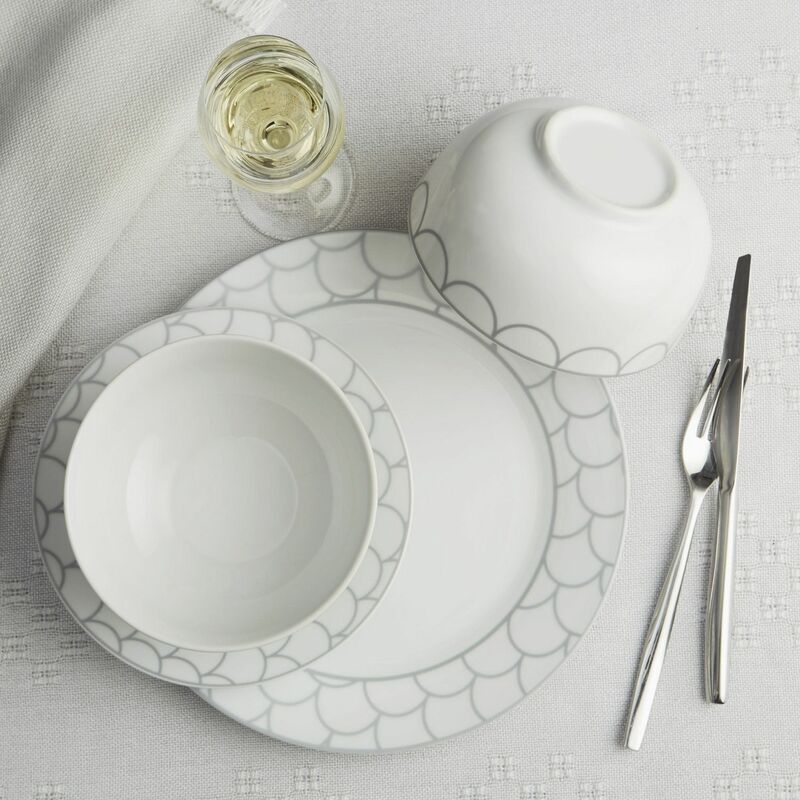 This exclusive dinnerware set from Safdie & Co. is the ultimate easy-care dinnerware for everyday dining. The classic shape with stylish patterns will complement your kitchen decor and work wonderfully with your existing pieces. It is modern, fresh and perfect for casual meals or more formal occasions when you entertain with friends and family. This safdie & Co. dinnerware set is break & chip resistant, durable, and lightweight with fade-resistant patterns. It is safe for microwave, dishwasher and oven. This simple and elegant set has what you need to start or expand your tabletop collection.